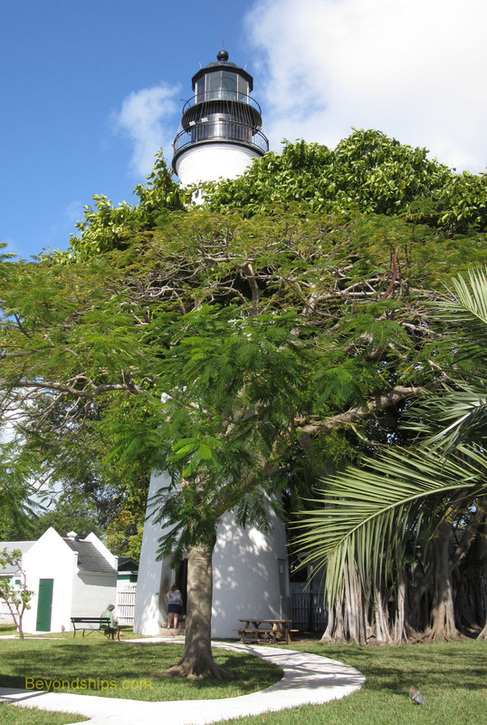 Above: The Key West Lighthouse dates from 1848. 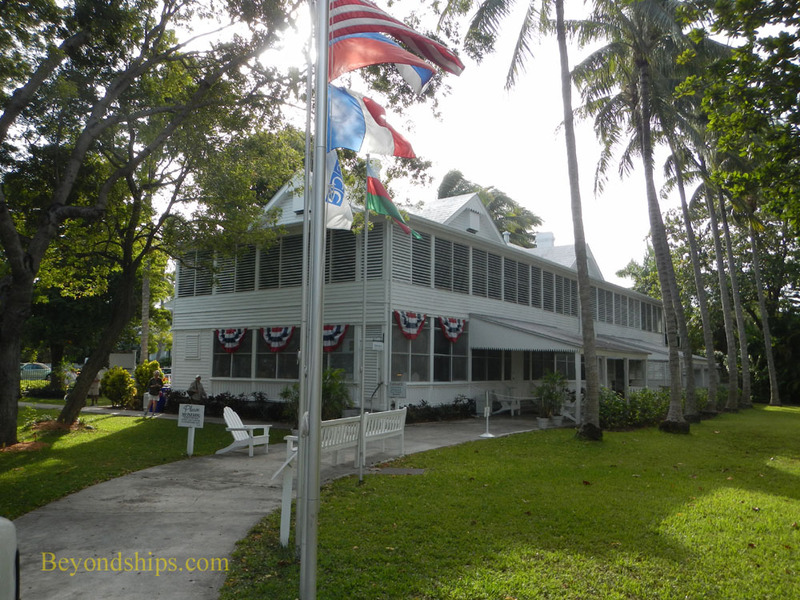 Decommissioned in 1969, it is now a museum dedicated to Key West's maritime history. Visitors can climb the tower for a panoramic view of the island. Not far from Piers A and B in a residential neighborhood that used to belong to the Navy base is the Little White House. It is so called because it was the winter White House of President Harry Truman during the late 1940s. Truman made 11 visits to the house during his presidency to escape from the pressures of Washington. (See separate review). Built in 1890 as housing for naval officers, the house has been used by five other presidents. It also served as a command center during the Spanish American War and both World Wars. The house is now owned by the State of Florida but is operated by a private foundation. Docents give tours of the house throughout the day. 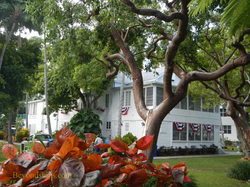 One of the most visited sites in Key West is the Hemingway Home. The author Ernest Hemingway bought this house in 1931 and lived there until 1940 with his wife Pauline and their two sons. Hemingway wrote some of his best known works here including the novel To Have and Have Not and the short story The Snows of Kilimanjaro. 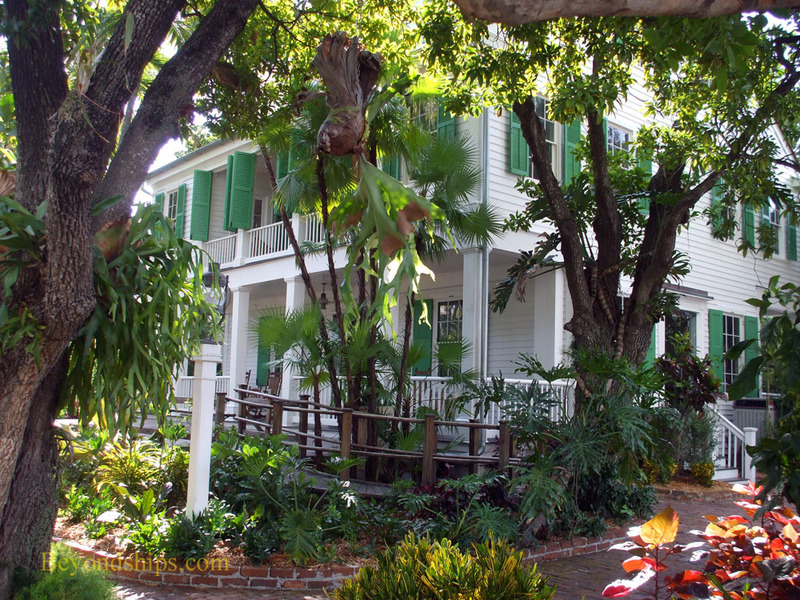 The house contains furniture and artifacts from Hemingway's time in Key West. It also is home for some 40 descendants of the six-toed cats that he raised. Surrounding the house is a lush garden with a pretty swimming pool. In 1832, artist and naturalist John James Audoban came to Key West in search of birds to include in his book of illustrations, Birds of America. He discovered 22 new birds and it is believed that he painted or drew most of them in the grounds of what is now the Audoban House. Indeed, one painting features a bird pictured in a tree that can still be seen in the garden. The house itself dates from the mid-19th century. It has been restored with furniture and artifacts from this period. Included in the collection are 28 first edition works by Audoban. The house has 19th and 20th century furnishings and artifacts. 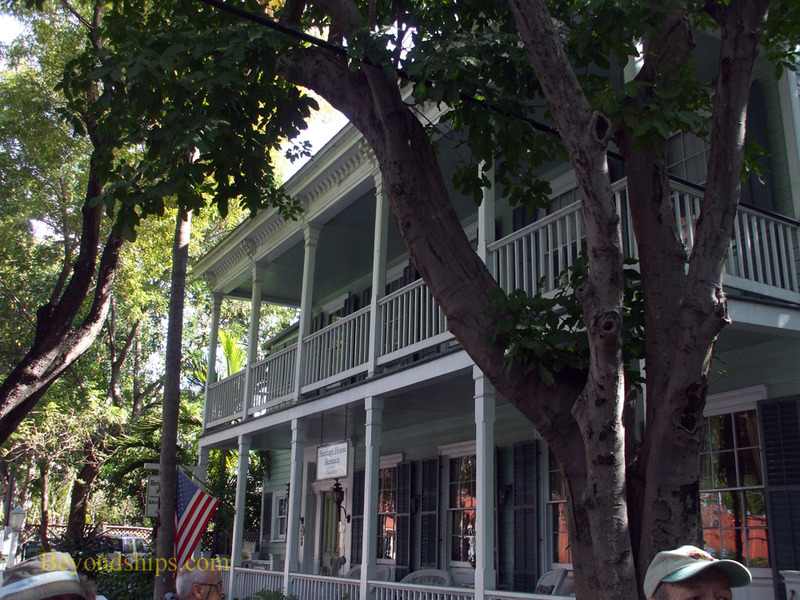 On the grounds is a cottage that the poet Robert Frost stayed in while visiting Key West. There is also a well that is believed to be one of the first sources of fresh water discovered on the island. Another often photographed mansion is the Southernmost House. 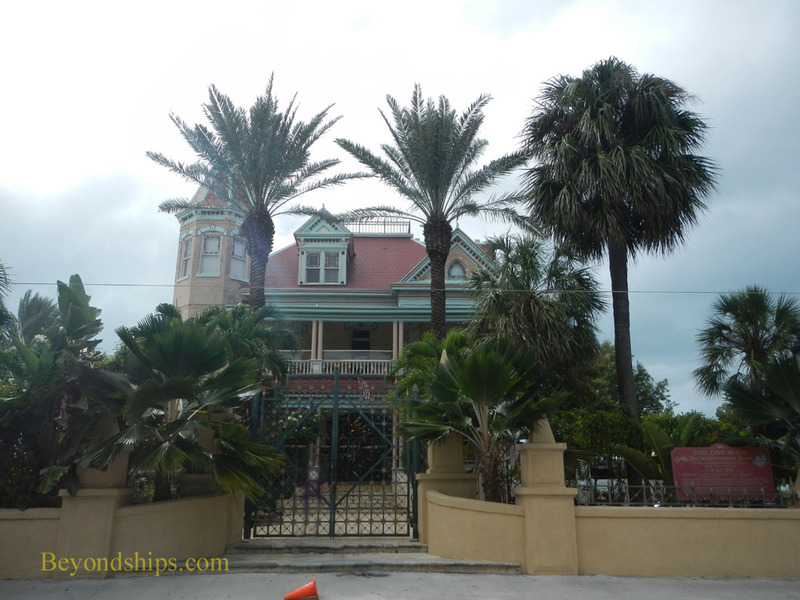 This oceanfront villa at the end of Duval Street was built in 1896 as a private residence. It later became a Prohibition era speakeasy and then a cafe. The Ramos family returned it to being a private residence in which they entertained President Truman, Tennessee Williams, Ernest Hemingway, King Juan Carlos of Spain, Richard Nixon, John F. Kennedy and Dwight Eisenhower. The house became a hotel in 1996.